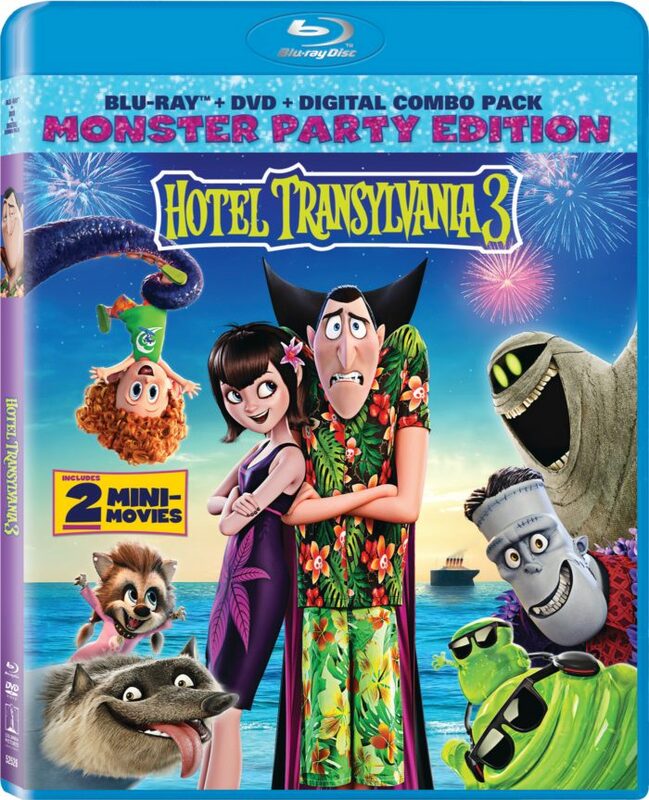 Make your next family movie night a howling night to remember! 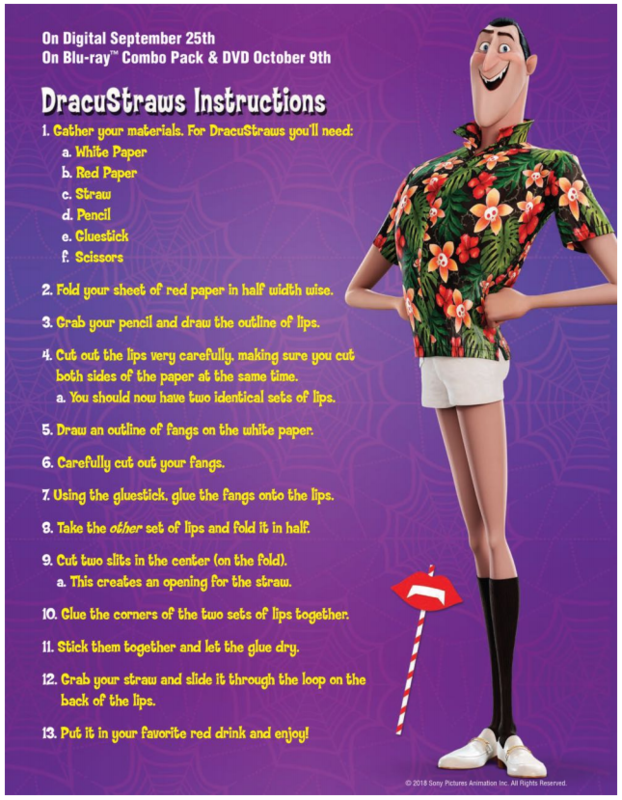 Immerse yourself back into the world of Drac, Mavis and the entire monster family as they cruise their way to the hidden world of Atlantis! 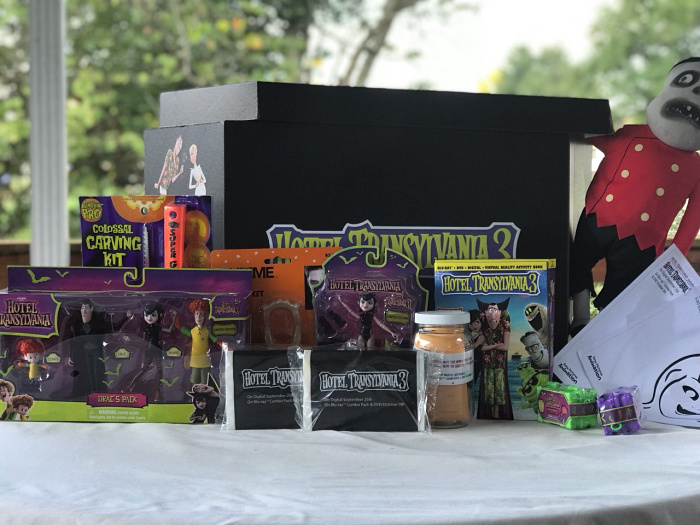 My family and I recently received a spooktacular package of fun toys, craft ideas, food and DVD all inspired by Hotel Transylvania 3. 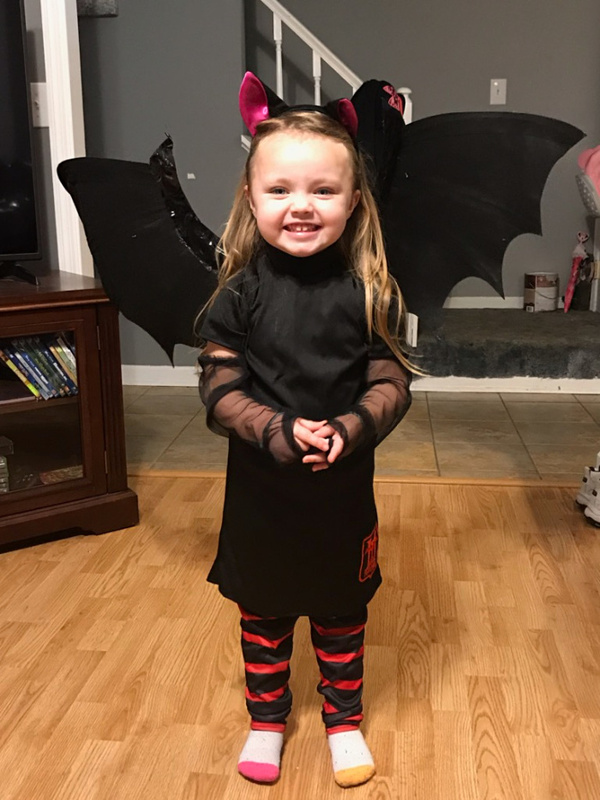 It even had a fantastic Mavis costume! 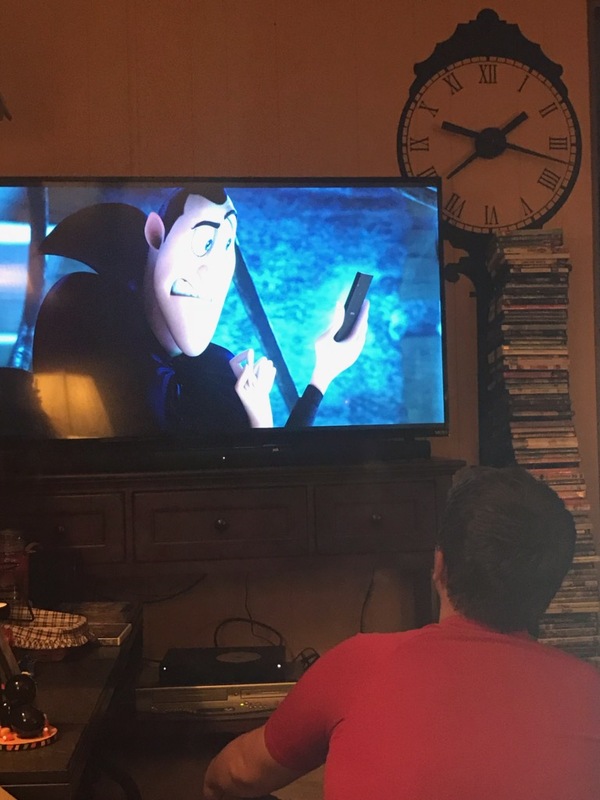 We were so excited to spend the weekend together engaging in fun activities for the season and get a sneak-peek at Hotel Transylvania 3 on Blu-Ray/DVD. We had an entire family night with games, food, crafts and movie-viewing. 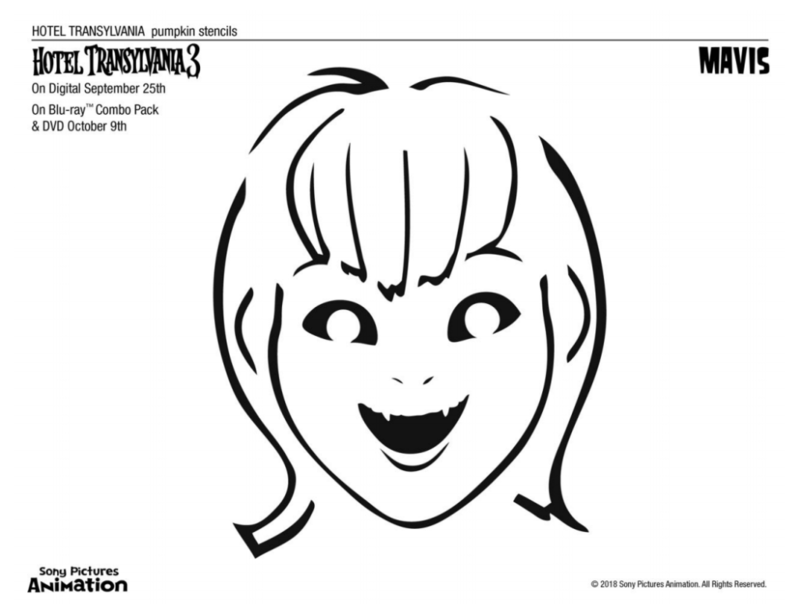 Hotel Transylvania 3 is now available on Digital Download and on DVD/Blu-Ray October 9th! 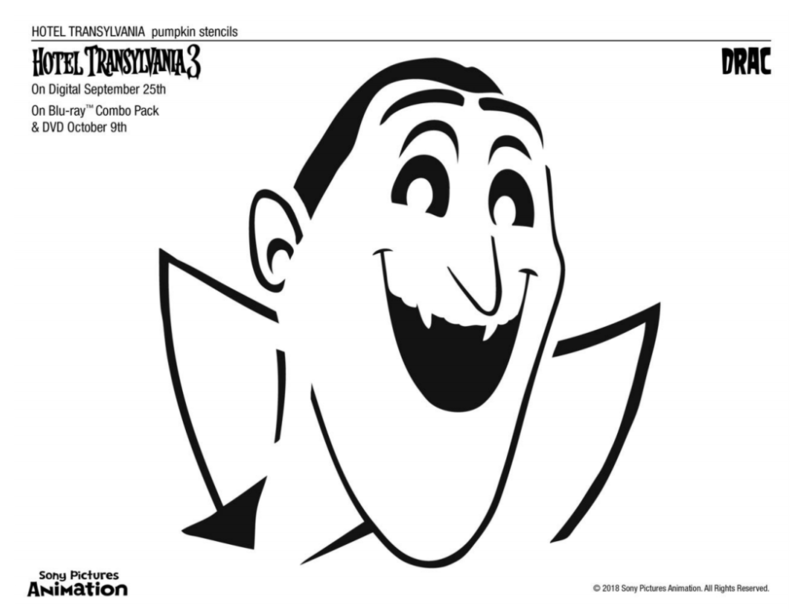 Three All New Scary-Oke Sing-A-longs: Sing along to three Hotel Transylvania 3 inspired songs with your favorite characters! 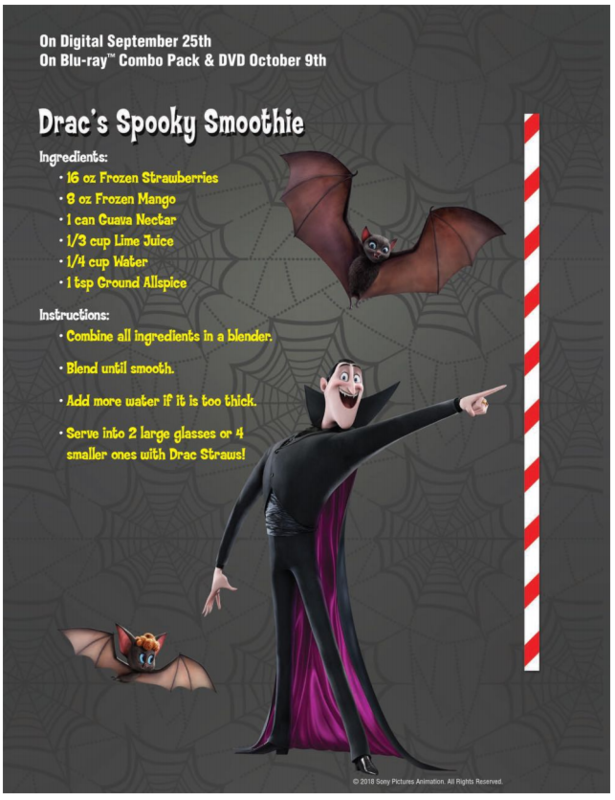 We hope you and your family have as much fun with these activities and movie-tastic toys as we have. 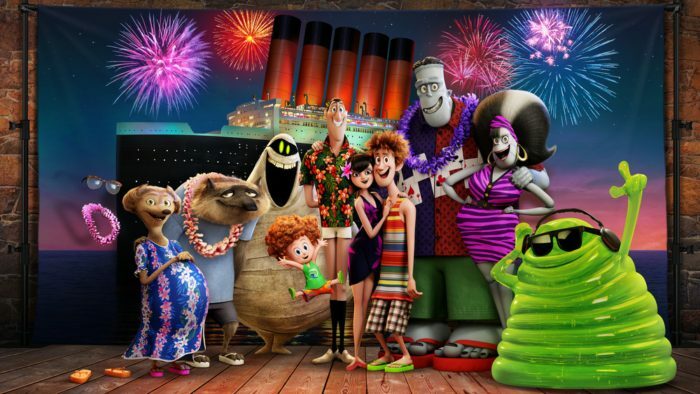 Pick up Hotel Transylvania 3 on Blu-Ray/DVD and make this weekend family movie night Spook-tastic! 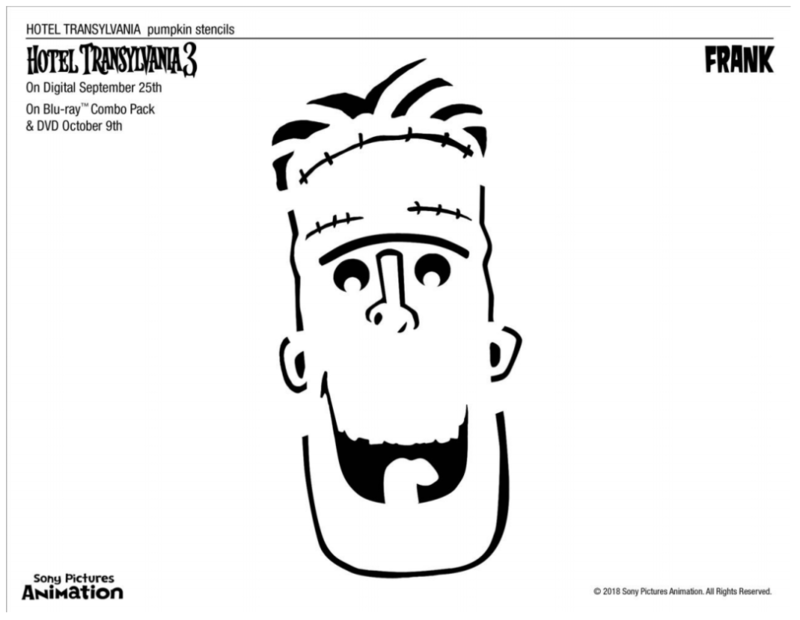 My family loved this film, those pumpkin stencils are soo cute! I may need to get more pumpkins to carve.